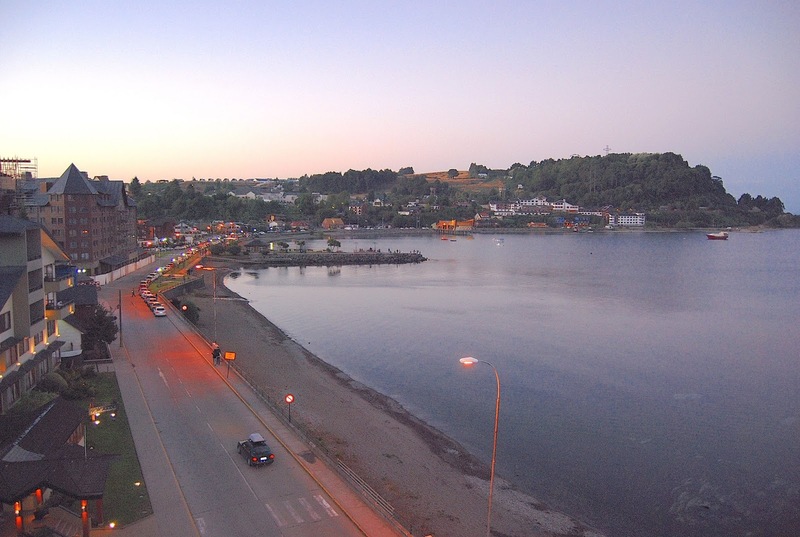 In 1979, when I first traveled to Chile, one of my destinations was Puerto Montt (pictured above), where backpackers hoped to catch the rustbucket freighter Río Baker that sailed the Chilean fjords to Puerto Natales, the gateway to Torres del Paine. Before the massive 1960 earthquake, the renowned travel writer Jan Morris had described the city’s “structures in the Alpine manner, all high-pitched roofs and quaint balconies;” some of that still exists, but Montt’s lost its earlier charm to utilitarian reconstruction, industrial expansion, and an uninspiring port – despite a natural setting that matches Seattle’s on Puget Sound. At the time, nearby Puerto Varas (pictured above) wasn’t even on my radar. 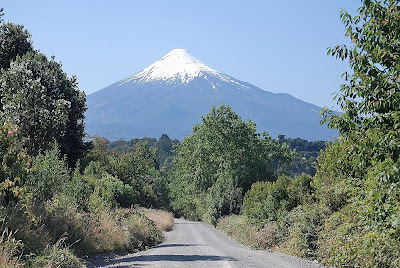 Despite the map, which showed the blue fresh waters of Lago Llanquihue and the snow-topped volcanoes around it – one of which blew its top not so long ago – the Argentine city of Bariloche held a higher profile and, in any event, I was keener to reach Tierra del Fuego, which I eventually did. On my way back north, I crossed from Bariloche back into Chile but was running short of time to detour south to Varas – if indeed, I had properly appreciated its appeal. Instead, I turned north from the city of Osorno and, eventually, flew back home from Ecuador. In the interim, though, I’ve gotten to know Varas and vicinity well and, because of its attractions – the lake, whitewater rivers, rugged mountains covered by dense temperate forests, and snow-covered slopes suitable for skiing and summer climbing, it’s become one of Chile’s adventure travel hubs (along with Pucón). In fact, in early October, it will host the Adventure Travel World Summit and, though I won’t be able to attend, I will be working with the Patagon Journal to create an introduction to the country’s top 20 or 25 adventure excursions, from the Atacama to Antarctica (I am on the magazine’s editorial advisory board). Before then, I may describe some of those excursions in this blog so, even if the summit’s not on your agenda, you’ll have an idea of what might be done. In the early 1980s, when I first visited Buenos Aires, Argentina was still under control of a vicious military dictatorship that kidnapped and killed tens of thousands of its political opponents. I had visited Argentine Patagonia in early 1979, and had some unpleasant encounters there, but in the capital the tension was still palpable. I recall, for instance, seeing city buses stopped and riders searched on the ride into town from the international airport at Ezeiza. 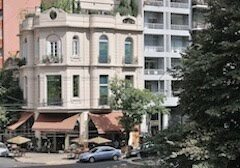 That said, Buenos Aires still had a vigorous street life and nightlife – unlike Chile’s Pinochet regime, the Argentine military never imposed a curfew on the public. In Santiago, you couldn’t be on the street after 11 p.m., so parties would start early and go until daylight, but there were no such restrictions east of the Andes. 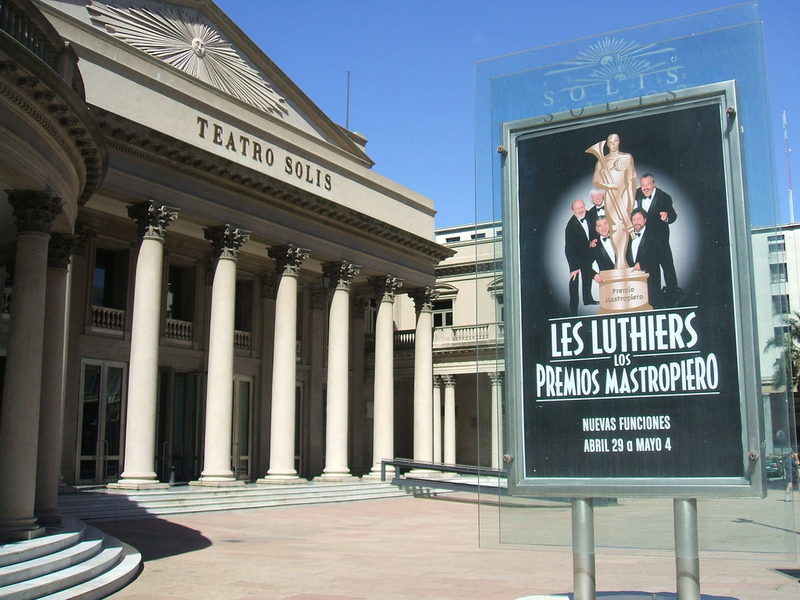 In Buenos Aires, one of my most memorable experiences was seeing a performance by the musical comedy group Les Luthiers, which came to mind recently when I read the obituary of founding member José Rabinovich (the Creative Commons photo at top advertises a performance in Montevideo). At a time when repression was the norm, Les Luthiers dared to speak out satirically – when I saw them, they spoofed the introduction of a series of general and admirals occupying the country’s highest posts, with one exception: the minister for education was a virtually illiterate corporal. 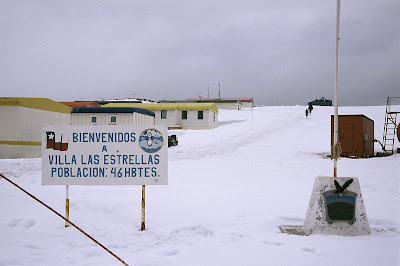 In the clip above, with Rabinovich in the middle, they bemoan Argentina's border problems with Norway - obviously an oblique reference to nationalistic manipulation of the dispute with Britain over the Falkland Islands. In the English-speaking world, I might compare Les Luthiers with the Bonzo Dog Band, who also created their own instruments and satirized British society, though they were rarely so openly political. In one instance, though, the threat of a libel suit obliged them to remove a reference to Conservative politician Quintin Hogg – in “The Intro and the Outro” (see above), a modified version of Duke Ellington’s “C-Jam Blues” (see below), they had credited Hogg with contributing a “piggy grunt” to the song. In cases like this, British defamation laws are far more rigorous than their North American counterparts, but the Bonzos were never in danger of being jailed or anything more serious. I never saw the Bonzos live and, when I saw Les Luthiers, my Spanish wasn’t good enough to understand everything that was going on, but their act was visual enough for me to get the gist. Even without Rabinovich, the surviving members will continue to perform and, if you’re in Buenos Aires, elsewhere in Argentina, Uruguay or even Spain with the opportunity to see them – well, don’t miss it! 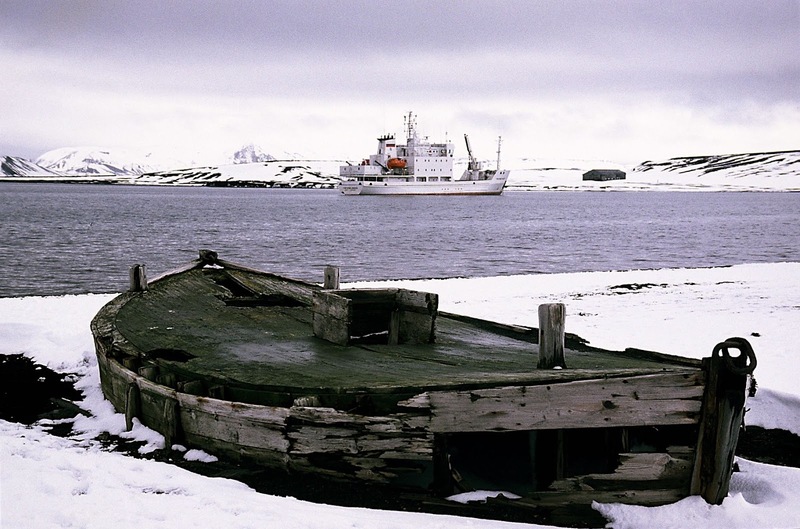 Looking at the map, many travelers overestimate South America’s remoteness because, beyond the tip of the continent, the next thing they see is Antarctica. 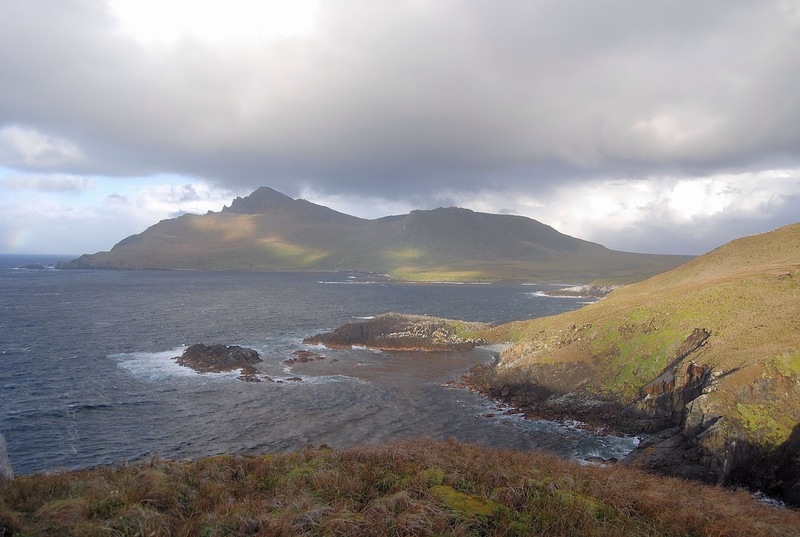 In reality, at a latitude of 56° S, Cape Horn (pictured below) is almost exactly the same distance south of the Equator as Edinburgh is to the north, but the vast open waters of the Southern Ocean make a dramatic contrast to the landmasses of Europe, Asia and North America. 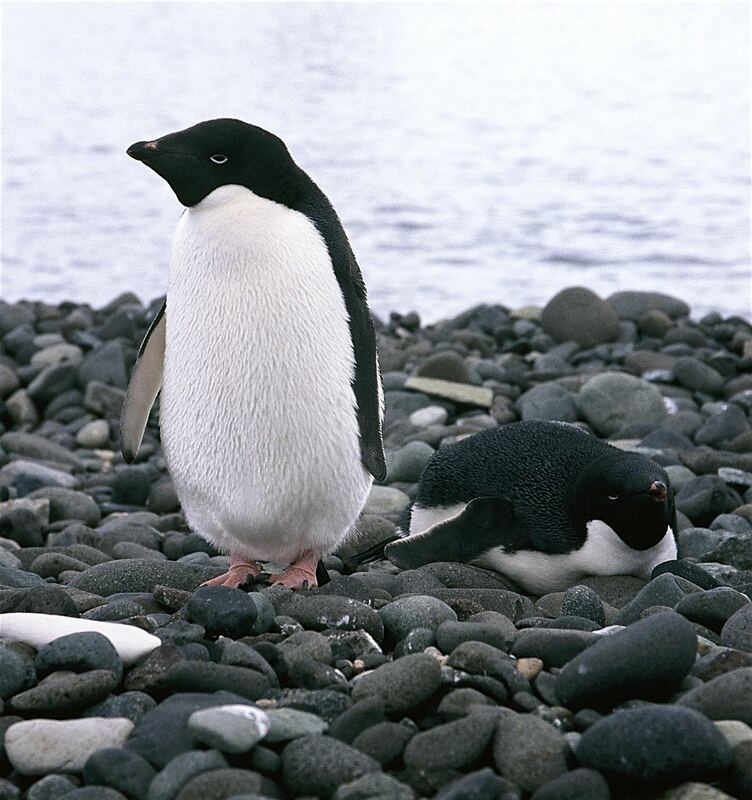 Even then, though the South American continent tapers to its tip in Argentina and Chile, Patagonia is the gateway to the white continent in a time of global warming concerns. 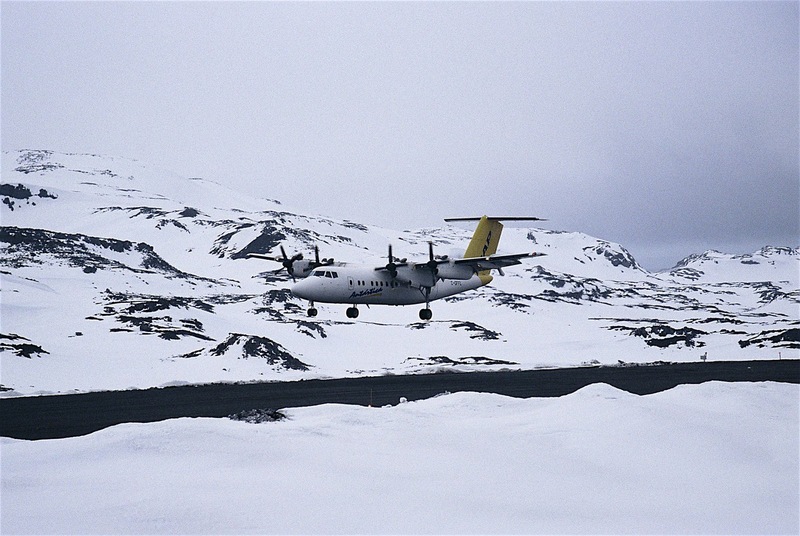 Nearly all Antarctic cruises sail from the Argentine port of Ushuaia, on Tierra del Fuego, but there’s another option – the Chilean city of Punta Arenas has the only airport that offers commercial flights with Aerovías DAP. When I made my only visit to Antarctica, in late 2004, it was a fly/cruise trip with Antarctica XXI, a Chilean operator that was offering the chance to avoid two days of stomach-churning sailing across the Drake Passage to the Antarctic Peninsula, whose sheltered waters are calmer. 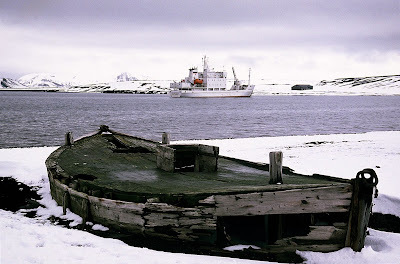 We flew from Punta Arenas to King George Island (Isla Rey Jorge), where Chile and several other countries have research bases, and then boarded a chartered Russian vessel for our week-long cruise (since then, Antarctica XXI has acquired its own ships). The Antarctica XXI cruises are expensive, but there’s now a briefer, cheaper alternative for those who want to sample what Antarctica has to offer. Through its Antarctica Airways service, DAP now offers day-trips and overnight stays at an “Ice Camp” on King George Island (near the Chilean settlement of Villa Las Estrellas, pictured above). 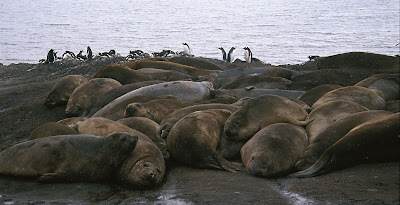 My feeling is that a day-trip doesn’t allow enough time to see King George’s sights, which includes an elephant seal colony and many penguins (such as the Adelies pictured above), as well as the Russian Orthodox Church there. 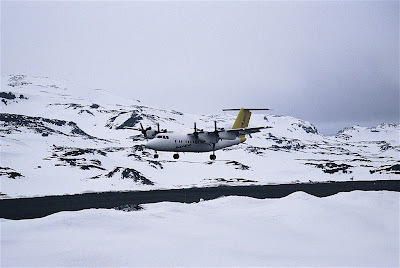 Even the overnight trip, though, requires some flexibility – with crosswinds, flights from the South American mainland cannot land at King George’s narrow airfield, as I learned when our departure from Punta Arenas was delayed a day in 2004. If your schedule is tight, the trip could be tricky.